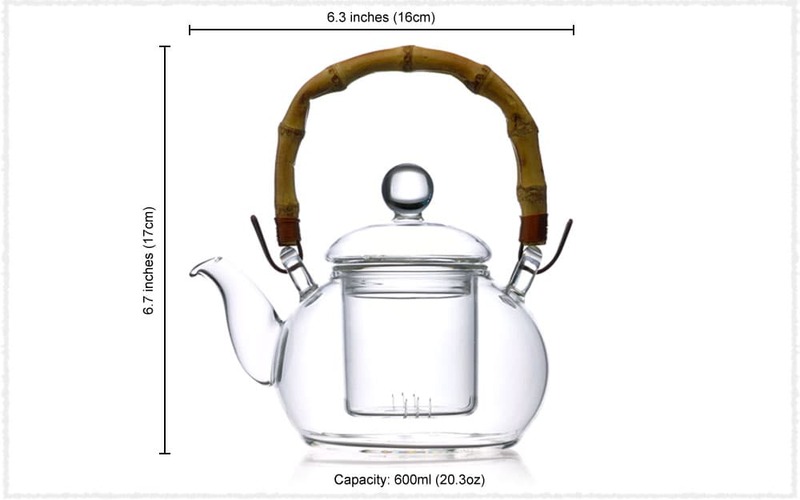 Within bamboo handle and glass infuser, this clear and pure glass teapot is easy to use. 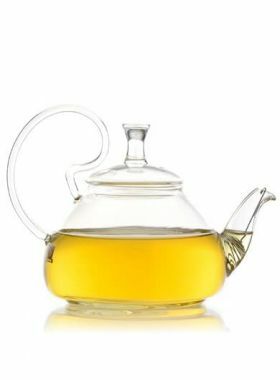 Note: The cuts of the infuser are very narrow. 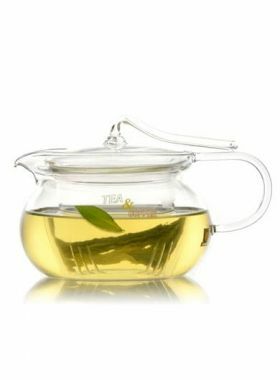 So this teapot with infuser is suitable for brewing strip-type and bold-shape teas. 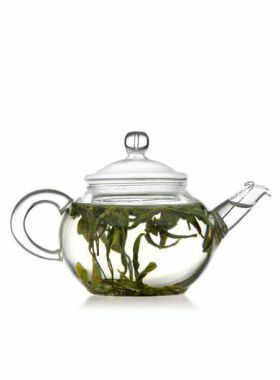 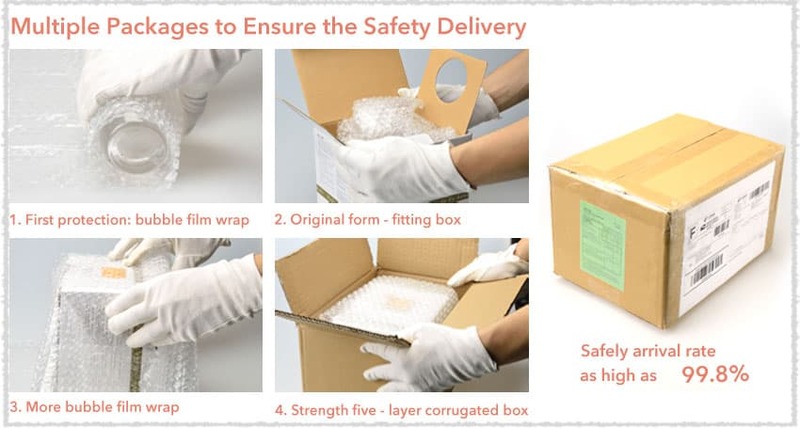 The small pieces of tea residues or leaves may block the cuts, if you are going to brew a tea with small pieces, the teapot with stainless steel infuser will be a better choice.